Welcome to Om Prem Yoga & Meditation! We love for you to become more alive and shine more fully. Our goal is to support you in improving your health holistically, fostering self-discovery, higher levels of consciousness, personal growth, and the fulfillment of your life’s purpose. Offering daily Yoga classes, with a focus on nourishing your mind, body, and heart, for all levels of experience and ability, as well as Meditation, Life & Leadership Coaching, and series of Well-Being related services & workshops. We are passionate about supporting your personal development and transformation, to find and live your highest potential (aka your best Self) NOW! Your true Being. The physical benefits you receive (and you will receive plenty) in our integrally focused asana classes are one of the many benefits on a holistic yoga class. Whenever you decide to work on transforming your life we’d love to have you in our community. We are located in the beautiful Dundarave area of West Vancouver at 2442 Haywood Avenue, West Vancouver (cross the road from the Irwin Park Elementary School in Haywood Ave between 24th and 25th Streets). 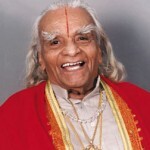 BKS Iyengar, one of the greatest yogis of our time left the physical world at the age of 95 on Aug 20, 2014. Rest in peace guruji. Click here for Om Prem Yoga Studio’s Weekly Class Schedule.